This is the fun part to write about! This is the post I’ve been waiting to write for a long time now. 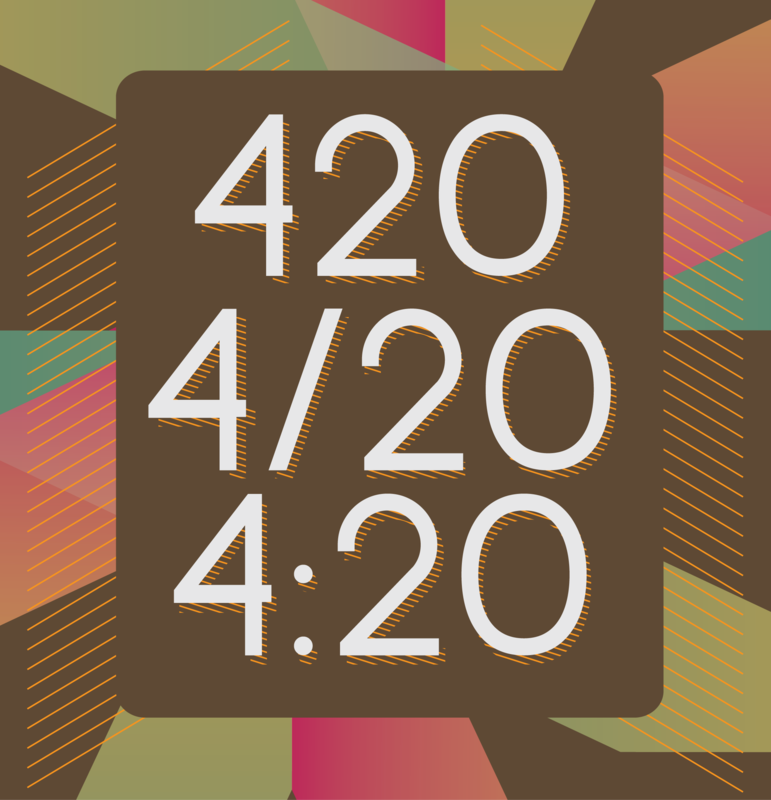 In fact, this is the post that contains the dream for 420. This is what I’m hoping for our church. This is what I am dreaming will happen at SixEight church in just a few short weeks. In fact, from when I’m writing this post, it’s only 53 days away. It will be here before you know it! Here we have the ideal conditions. These aren’t conditions that we have stumbled upon by accident. These are conditions that have been intentionally prepared. There have been many hours of work and labor that have gone into getting the soil to this point. I don’t know how familiar you are with gardening and what it entails, but as you know, I am a fan of it and have spent a fair amount of time doing it. By far, the hardest part of gardening is getting the soil ready. You see, there is this thing called gravity, and over time it compresses the soil down into a hard and packed state. The only way to get the soil ready to grow something is to do the work of breaking up and working up the soil. It’s a lot easier today than it was in Jesus’ day, but even with all our advances in technology, it is still work. It still requires time and intentionality. A farmer must still think about what needs to be done, and then spend time implementing the plan. This is absolutely true for us as well. If we’re going to see something grow, we have to make sure the soil is ready to receive the seed. 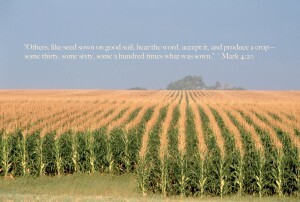 Listen to how Jesus explains the reward of prepared soil. 30, 60 or even 100 times what was sown. That’s some pretty good math right there! That’s an amazing return on investment. Imagine I tell you that if you give me one dollar, in a few months time you’ll have 30, 60 or 100 dollars. Wouldn’t you give me your one dollar? Sure you would. The amazing thing is, this isn’t a scheme. I’m not trying to get a dime from you. Instead, what I’m trying to get us all to do is to be intentional about preparing the soil of our 8 to 15 so they are ready to hear from God when He wants to plant to seed of the gospel in their heart. Exactly how do we do that? Well, I think it’s much in the same way as preparing the soil. Time and intentionality. We need to understand that it takes time to prepare people to receive something from God. As Paul reminds us: “The god of this age has blinded the minds of unbelievers, so that they cannot see the light of the gospel of the glory of Christ, who is the image of God.” (2 Cor. 4:4) And he goes on to talk about how we are souls living in fragile, human vessels. And as we experience hardships in this life, we have the opportunity to let the light of the gospel shine through us. As we build relationships with those who need Jesus, we need to let them see Jesus shine through the hardships of this life. As they see us respond with the mind of Christ, they will be drawn in to want to know if Christ can do the same thing through their trials. This doesn’t happen haphazardly. We have to intentionally spend time with those who need Christ and build a legitimate friendship with them. We need to genuinely care for and love them. We need to walk with them through their trials and be a support for them. And we need to let the light of the gospel shine through us into their lives. All this takes time. But not just time, intentional time together. Corn is a fun thing to grow. Because it grows so fast and produces a good crop. I’ve even heard it said that you can hear corn grow, because it’s growing so fast. Going to college in Indiana, I spent a lot of time driving through farm country. And I loved looking down the rows from the road and watching them pass by. But looking at the fields of corn, there is a large and plentiful crop just waiting to be harvested. For each seed planted, there are at least 100 seeds on each ear of corn. Wouldn’t it be amazing if our church could produce fruit of people coming to Jesus in the same quantities as a field of corn? How about even just one row of corn? If there were 1,000 corn plants in a row and each plant had two ears of corn that produced 100 seeds, that would be 200,000 seeds. What about us? We’re running about 100 right now as a church. What if each of us produced 100 times what was planted into us? That would be 10,000. If we produced 30 times, that would be 3,000. If 60 times, that would be 6,000. Wouldn’t that be an awesome thing to be a part of? “That’s such a huge number! How could we ever achieve something like that?” First off – we wouldn’t – it would be God through us that would accomplish this. But, seriously, how would this happen? Do you want the answer? Do you really want it? Just like when I plant corn, or beans, or cucumbers – I plant them one seed at a time. Can you imagine if we all just started working on preparing the soil for one seed right now? What if we spent the next 53 days focusing on preparing the soil for one seed? If we all did that faithfully, that’s the potential of 100 people coming to Christ! That’s a stinkin’ miracle. And it’s something I want to be a part of! Desperately. It has been a passion of mine to be a part of something like that my whole life – to be a part of a church that is growing the same way the early church did. And that’s a goal of ours, to see people added to our number daily. Don’t you want to be a part of something like that too? Don’t you want to be a part of something that is bigger than yourself? I think you do. And that’s exactly what this is – we are joining forces with the creator of the universe and literally doing something much bigger than any of us. I want to be a part of that. I long to see our church be that church that is reaching people in that way. But it doesn’t come as a result of one person reaching hundreds of people. It comes as a result of hundreds of people reaching their one or two or 8 to 15. Will you join us in this? Will you begin working now, this day, to prepare the soil so that when the seed of the gospel is planted in their hearts – it takes root and grows deep enough to produce 30, 60 or 100 times what was planted. I have my list. Do you have yours?